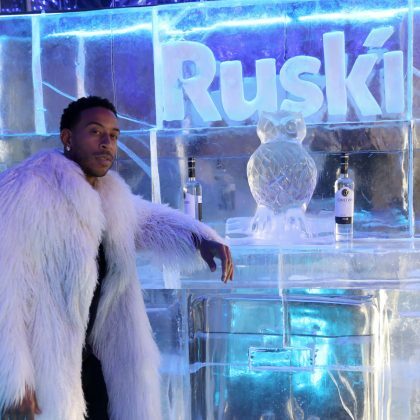 Ludacris checked out the ice bar at Moscow, Russia’s Ruski restaurant in June 2018. 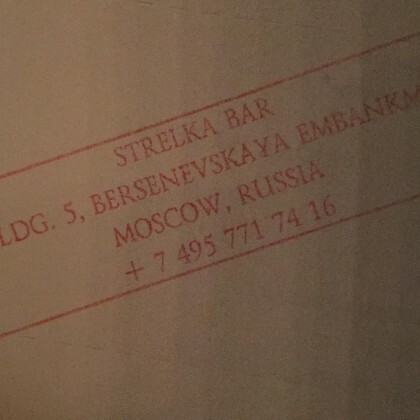 Ashanti “Spent Mother’s Day in Russia” in May 2018, and gave her mom a kiss outside of the Barvikha Hotel & Spa. 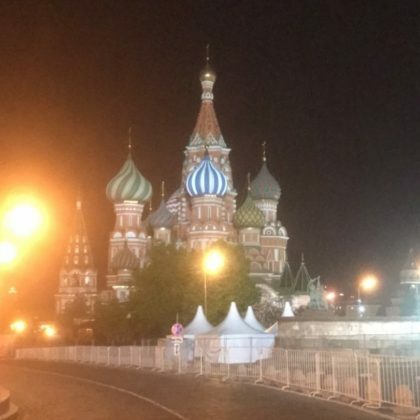 Naomi Campbell made it out to this beautiful church on a May 2017 night. 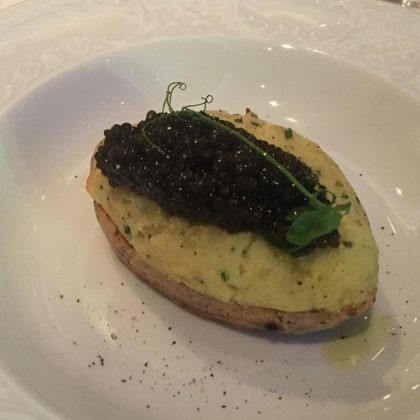 “I love a full caviar menu” is what Dita Von Teese said when she ate a “Caviar dinner” at Beluga Caviar Bar in May 2017. 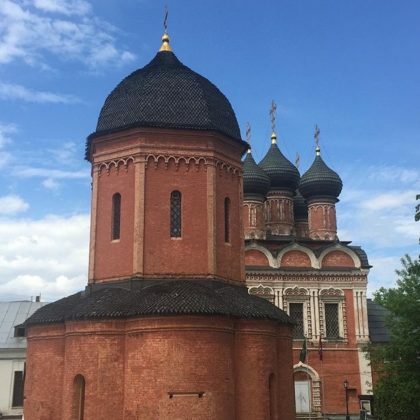 Dita Von Teese﻿ traveled to see the Vysokopetrovsky Monastery in May 2017. 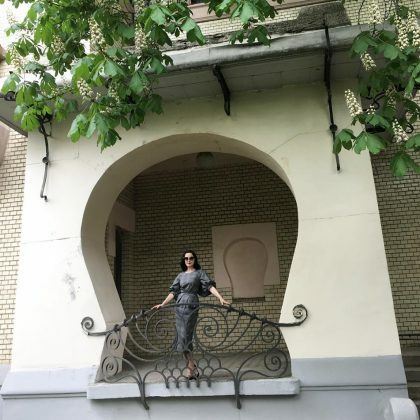 Dita Von Teese﻿ sent “Greetings from the Kremlin gardens” in May 2017 and checked out both the Ivan the Great Bell Tower and “Catherine the Great’s wedding gown” inside the Kremlin Armory. 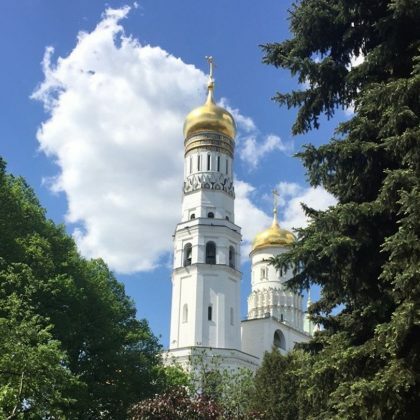 “Greetings from Moscow” is what Dita Von Teese said while strolling through this square on a “Gorgeous day” on May 2017. 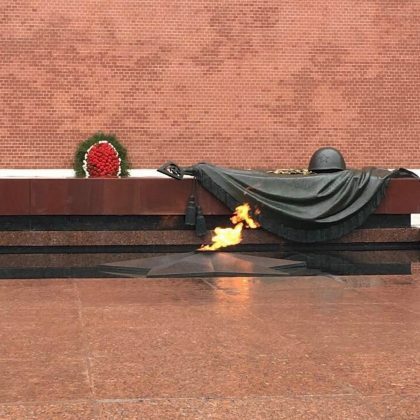 Ashanti﻿ visited the Tomb of the Unknown Soldier inside Alexander Garden in March 2017. 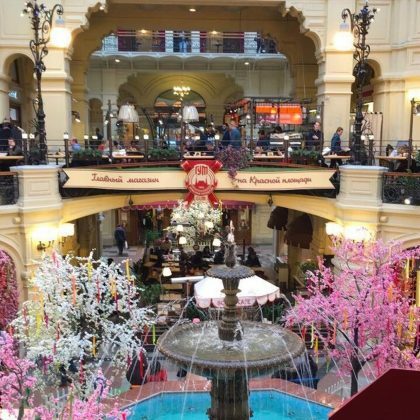 Ashanti shopped at GUM in March 2017 and sent “Much love to the Gucci Gum Store in Red Square Moscow” for the goodies given to her. 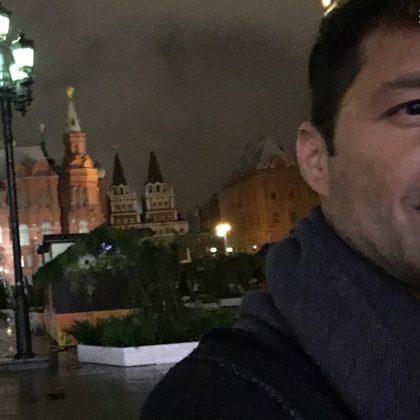 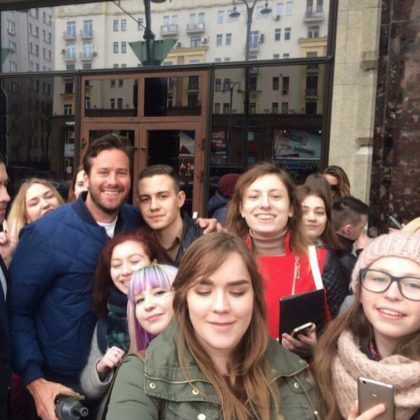 Ricky Martin﻿ made his way around Moscow in September 2016. 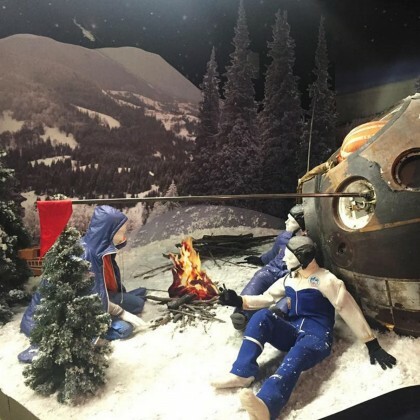 Pete Wentz captioned his photo of an exhibit at the Memorial Museum of Cosmonautics “After party” when he went here in October 2015. 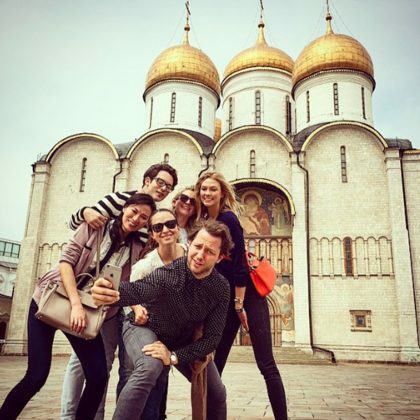 Karlie Kloss﻿ posed for a group selfie outside Dormition Cathedral, Moscow in June 2015. 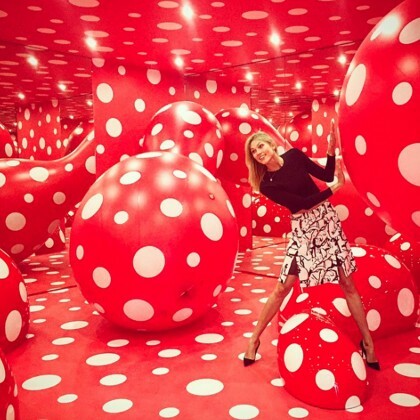 Karlie Kloss “was seeing spots” thanks to the “Kool” Kusama exhibit at the Garage Museum of Contemporary Art in June 2015.